Room: I’ve received so many questions about our room, which as you can see is literally what I’d call picture perfect. We had an ocean front king room with a balcony that overlooked the adult pool. The room was really spacious with a desk and lounge chair. The balcony sliding doors would turn off the air conditioning as soon us you open them to capture the ocean breeze and turn it back on as soon as they were closed to keep your climate perfect at all times. 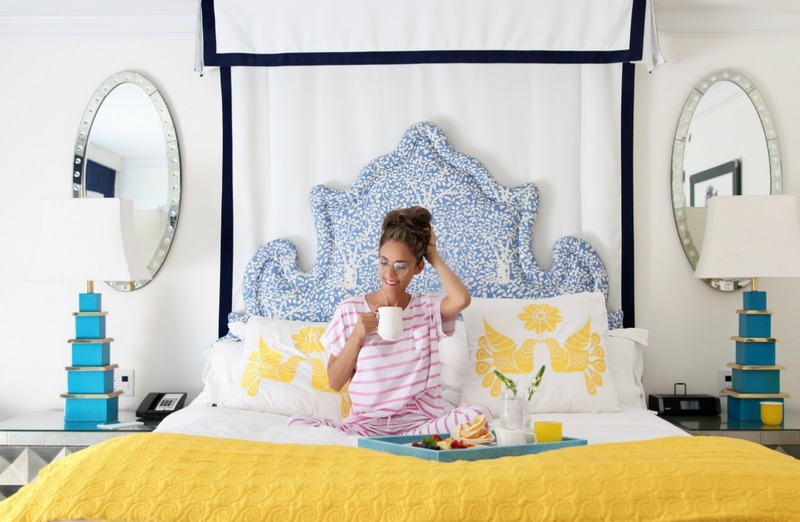 The bedroom balconies overlooking the ocean truly give you the feeling of having your own private cabana in your room and the room decoration captures the true sense of Palm Beach; a casual luxury. 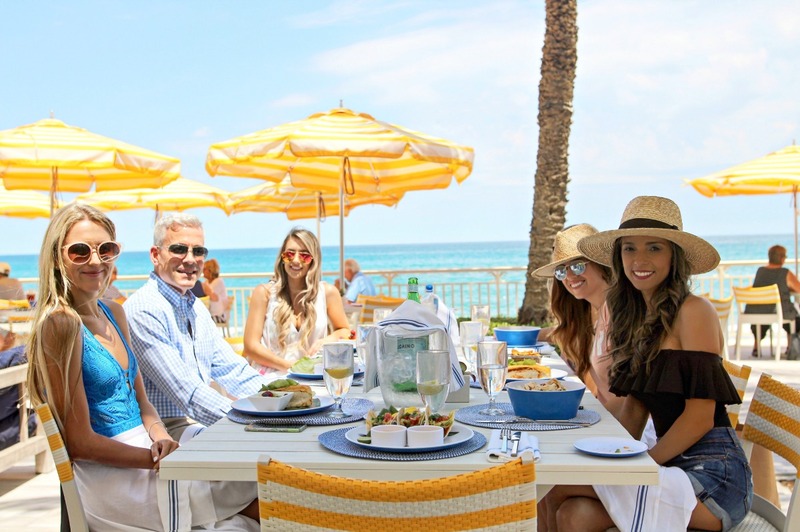 The vibrant yellow and blue colors set the tone for the perfect Palm Beach destination experience. Pools: The property has two large pools and they both overlook the ocean. One is exclusive for adults with a lap lane and the other for family fun. The first two days we were there, there was no humidity and a cool ocean breeze. I’m the kind of girl that doesn’t get in a pool unless it is extremely hot outside or the pool is heated. I have to say that I’m very picky with the water temperature in pools and these are both kept at the perfect temperature for even a sunrise swim. There’s also a large hot tub immediately beside the Breeze Ocean Kitchen’s outdoor bar that we loved and frequented as well. Food: Let’s just say that we were a bit more on a liquid diet because the drinks were amazing!! But, we did eat at two of the four dining options on property, Breeze Ocean Kitchen and Temple Orange Mediterranean Bistro. Temple Orange is the perfect restaurant providing indoor and outdoor dining anytime of the day from breakfast to dinner. Breeze Ocean Kitchen was the perfect pool and beach restaurant and we ate there multiple times. They specialize in fresh food with light sauces & local FL craft brews and the menu was simply to die for. The drinks, the decor and of course the ocean view … we just loved this place. Beach: The beaches are so beautiful every time I’m in Palm Beach. You’re far enough south that you really get that Caribbean vibe with the light colored sand and stunning array of blues and greens in the ocean. I love getting up early and going for a walk on the beach to catch the sunrise (and for those of you who know me well I am generally not a morning person). One of the cool historical facts I learned about this beach was that in 1947 part of the A1A highway sank and had to be moved to the opposite side of the property. So when it’s low tide you can see the remnants of the old sunken A1A that’s now covered in natural coral. It makes an incredible backdrop for pictures or a great opportunity to explore for sea life. 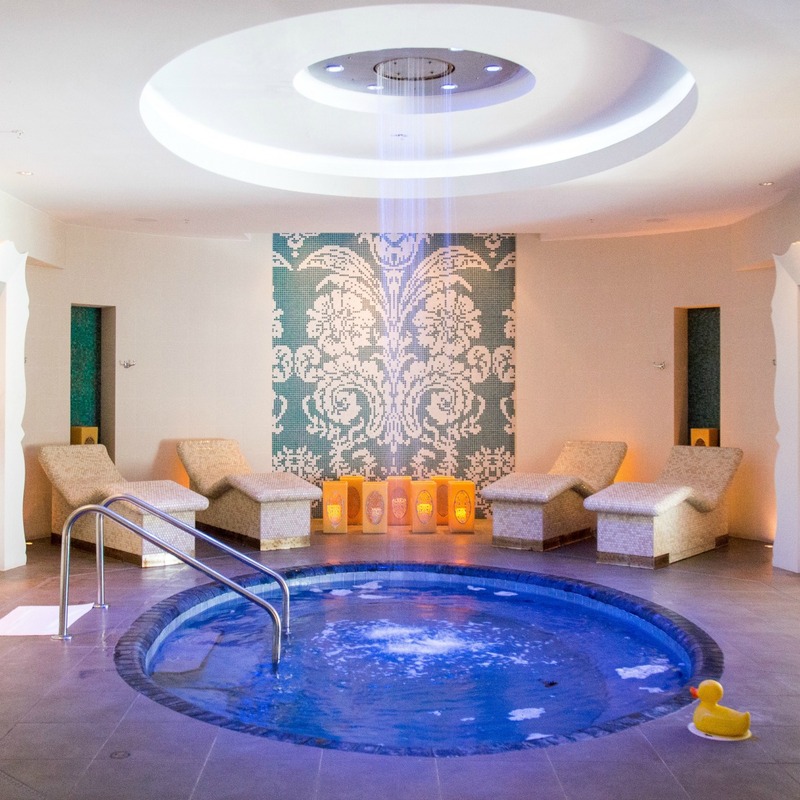 Spa: If I had to describe the Eau Spa experience in one word, it would be incredible. It is a whopping 42,000 sq. ft of relaxation bliss. You will definitely leave feeling like a new person and it truly reflects the idea of taking time out and treating yourself to some well deserved “me time”, which was much needed in my case. #MomLife. What made this Spa experience even more wonderful and unique was that before we started our massages, we enjoyed signature cupcakes and champagne. They sure knew the way straight to my heart and I felt that they delivered an out-of-the-ordinary spa experience. After our massages we hung out in The Self-Centered Garden, which is truly a wonderland. My favorite thing to do there was to sit on the swinging chairs and listen to the waterfall while playing in the water with my feet. I truly relaxed and enjoyed my “me time”. In Conclusion: I would highly recommend the Eau Palm Beach Resort & Spa. It is definitely a resort that I’ll be visiting quite often. In fact we loved it here so much that Cris and I are considering coming back in August to Celebrate our 15 year Anniversary and experience some of the amazing couples treatments at the spa. Of course my kids had tons of questions when we returned too and I shared with them some of the amazing kids activities we toured. They informed me “they are already planning a family trip there” because they can’t wait to get their hands on the DJ booth. I don’t want to forget to mention the amazing staff either. From the minute you pull up in your car till the moment you get back in you car, they make you feel welcome and extremely spoiled. 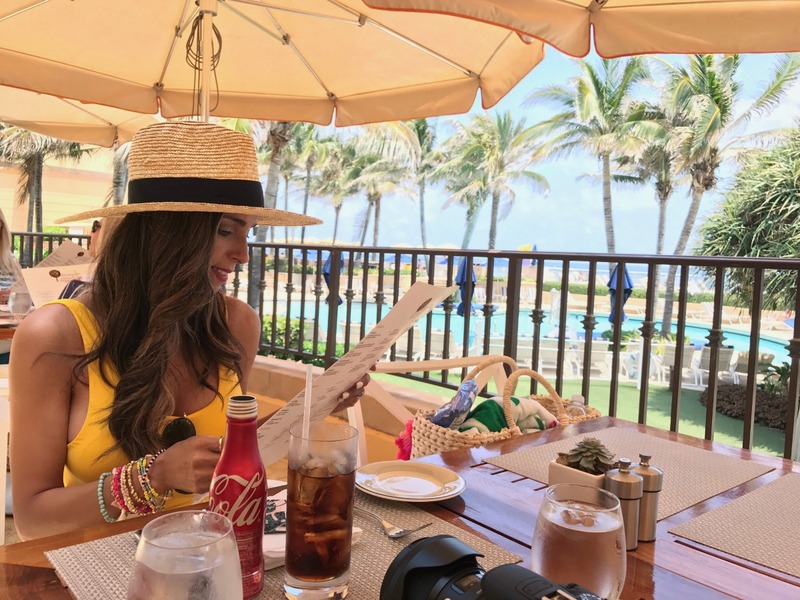 I have truly enjoyed my stay and feel extremely glad to have found an incredible resort that you can have multiple kinds of experiences … from a girls trip to a romantic getaway or family fun in the sun! · A minimum two-night stay is required and package is available for up to two persons per room. Spa treatment includes choice of Self-Centered Massage, Essence Facial, Personal Training Session, Hair Cut, or 90-minute Manicure/Pedicure. Complimentary transportation is available for one-time only. Cannot be combined with any other offers and available for stays from March 1st – December 31, 2017. Celebrity instructor and renowned “Bad Boy of Yoga” Eric Paskel, and the Five-Star Eau Palm Beach Resort & Spa have teamed up to host the first “Eaummm Yoga Rocks Retreat” August 11-13. In addition to lux touches, stellar dining and a gorgeous oceanfront setting, the weekend includes unique expert instruction. Planned sessions will zen out to a Prince-themed soundtrack, another 80’s version, and there’s even a class that will challenge students to execute all movements while remaining in one spot (for two hours!). 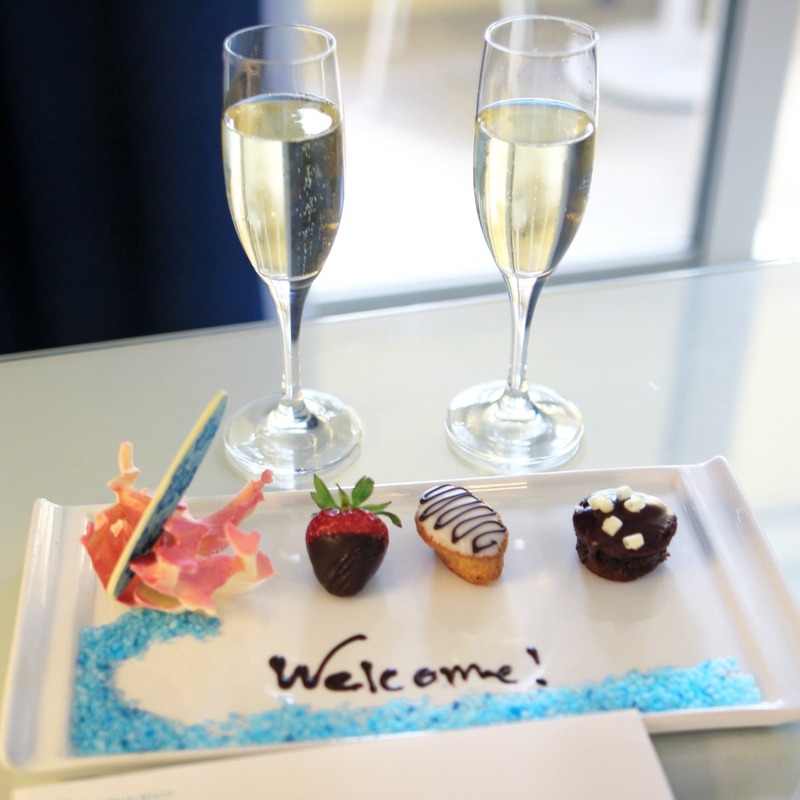 If you would like to book or just want to check out room rates, click here. When I saw this bag it had to be mine! The fact that it’s vegan leather, two of my favorite colors AND it’s reversible, I just couldn’t resist. The best part is that it’s under $50! The perfect bag to carry all I need, to spend the day exploring Palm Beach. Make sure to follow me on my personal instagram and thank you for following me on my wild journey in the fashion world!